The onward march of commercial considerations into every area of public life and services has led to an unlikely resistance movement in the shape of the Council for the Defence of British Universities. What kind of education you get – and the chance to participate in music, film, theatre and other forms of culture – is more than ever dependent on your parents’ status and income, how aggressive they are in getting you into a well-resourced school, if they can afford extra tuition and where you live. Teachers from Downhills Primary School, in Haringay, north London are on strike today against plans by the government to force them to become an Academy. They oppose the new status which would place them under the control of a private sponsor and pull them out of the local authority family of schools. “Our school is being absolutely bullied, and we are sick to death of it”, said one parent outside Downhills Primary School in Tottenham, North London, after the sacking by the government of the entire board of governors. “Absolutely appalling. Almost like a dawn raid. We live in a democracy, I thought,” said another. Coalition measures to encourage the creation of more academies and “free schools” are creating a market for learning, destroying at a stroke the right of all children to a decent state education. Philosopher A.C. Grayling’s justification for setting up a super-elite academy charging students £18,000 a year is a wretched example of a thinker who can no longer tell up from down. Students occupying Glasgow University’s Hetherington Research Club building, have called for a mass protest on February 16 to oppose devastating cuts. The first National Assembly for Education has adopted a strategy to broaden and deepen the student movement against cuts and fees, to take it to workers and the population at large and for the development of people’s assemblies. The Coalition’s drive to turn university education into a market-driven business in place of a state-supported system has resulted in an unprecedented alliance of students and lecturers. 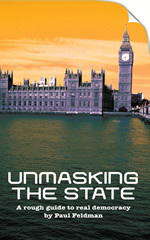 If the aim, however, is restricted to pressure on the government, the alliance will flounder on the rocks of reality. Introducing a free market in tuition fees that universities in England can charge students, together with the coalition’s planned spending cuts, will undermine the last vestiges of state-funded higher education. By inviting all head teachers in the country to re-invent their schools as independent “academies”, Michael Gove, the new Tory education secretary, is really tempting them to abandon the principles and traditions of comprehensive state education. The government is dashing the hopes of a generation of young people through cuts in education to try and claw back some of the £850 billion which New Labour committed to save the financial system from imploding.